you need right at your fingertips. 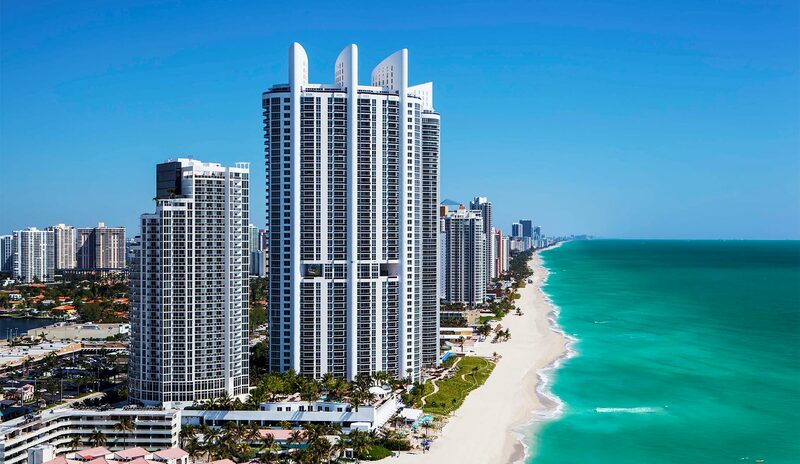 Welcome to Trump International Beach Resort Miami, an upscale family-friendly enclave on Miami’s Sunny Isles Beach. Independently owned and operated, this Forbes Four-Star oceanfront retreat is refined yet relaxed, with services and amenities today’s travelers cherish. Spacious, stylishly furnished guest rooms and suites, a full-service spa, an oceanfront grotto-style swimming pool and poolside cabanas, an extraordinary children’s program, 22,000-square-feet of indoor/outdoor event space – and exceptional mojitos. 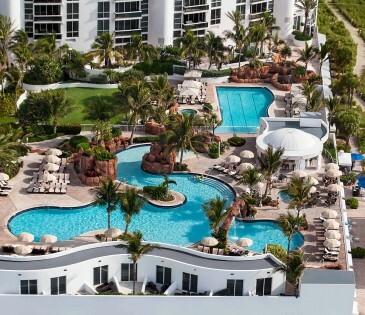 Trump International Beach Resort Miami features 356 spacious guest rooms, studios, junior suites and one- and two-bedroom suites with stunning views of the Atlantic Ocean or Intracoastal Waterway. The resort's extraordinary, fully supervised children's program welcomes our youngest guests for daily activities, fun and hands-on learning about the Sunshine State. Whether you’re planning a seaside ceremony surrounded by close friends and family or a gala celebration in the Ocean Ballroom, our team of wedding specialists will ensure your special day is a magical, memorable occasion for everyone. A full 22,000 square feet of meeting and event space, just steps from the beach. That's our secret formula for creating events that sparkle with first-rate service and breathtaking originality. Experience it for yourself. See. Savor. Plan A Stay. Picture yourself at Trump International Beach Resort Miami. Our oceanfront oasis in Sunny Isles Beach is nothing short of stunning. But don’t take our word for it; take our video tour. Because seeing is believing. 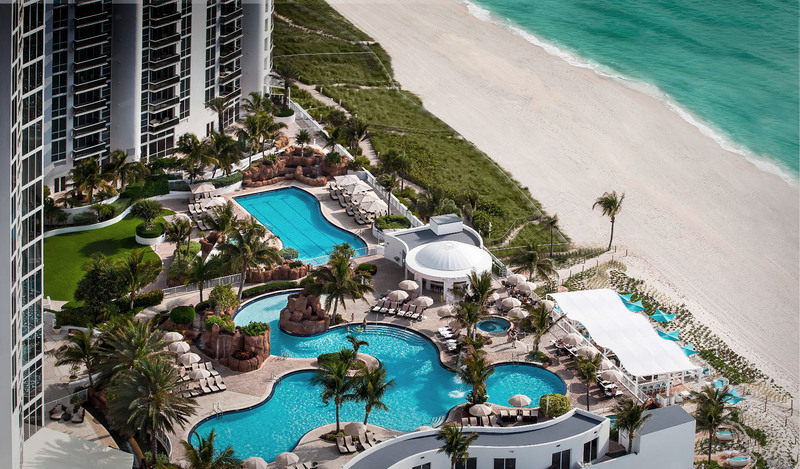 Located in exclusive Sunny Isles in North Miami, Trump International Beach Resort offers guests easy proximity to world-famous South Beach, vibrant Little Havana and beautiful Bal Harbour. 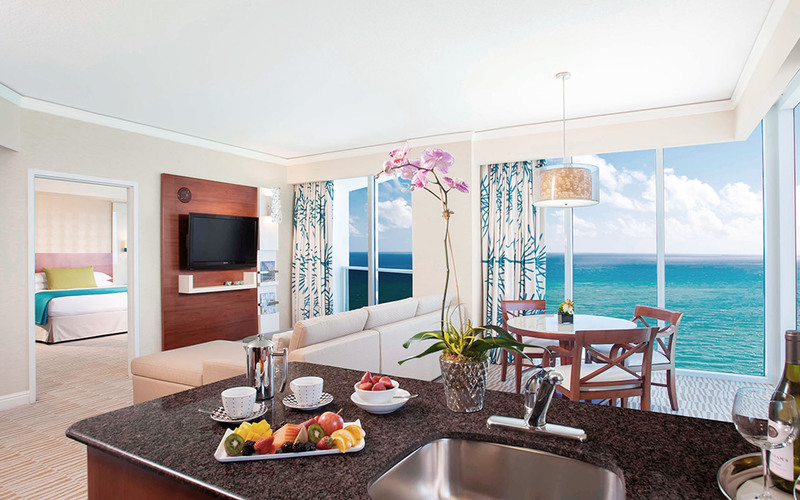 Stay in one of our suites and save up to 35%. Relax and renew this season with our unmatched Suite Stay experience. Receive up to 35% off our suites, accompanied by 20% off services at Aquanox Spa and 20% off oceanfront dining at Neomi's Grill. 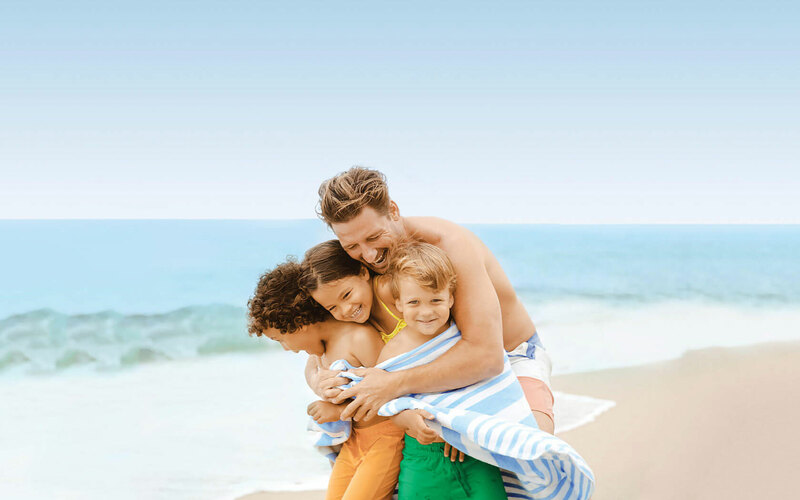 Plan your stay at our resort and experience the excitement and fun of Dezerland Park with exclusive ticket discounts of 20% off, just by showing your room key from Trump International Beach Resort. *Reservations can be cancelled at no charge by 4pm local hotel time up until 3 days prior to arrival. Late cancellation and No Show penalty equals first night’s room and tax deposit. A first night's room and tax deposit is due and payable at time of booking. Credit card used for deposit must be presented at time of check in. The I.D. of the credit card holder will be verified at the time of check-in. Spa and Dining discounts may not be combined with any other offer or special rate. Lounge poolside, ocean side or inside and save 15% on spacious accommodations during your next stay. Daily valet parking is included for one car only. Offer is not inclusive of resort fee or taxes and is subject to availability at time of booking. Other restrictions, including blackout dates, apply. May not be combined with any other discounts or special offers. Not responsible for errors or omissions. Void where prohibited or restricted by law.